Introducing the new Dee Dress from Barbour’s elegant Winter Tartan collection for A/W 2015. 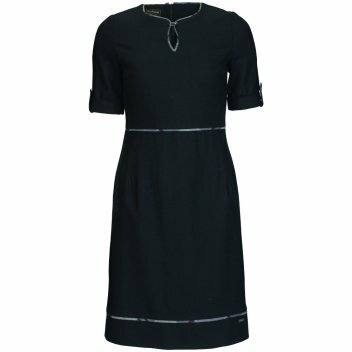 A sophisticated shift dress with subtle tartan piping at the waist, hem and neckline offering a hint of colour and detailing to the garment. A flattering cut with short sleeves, keyhole buttoned neckline as well as Barbour branded buttons on the cuff and neckline.